She said not standing during the anthem "is a right you have. 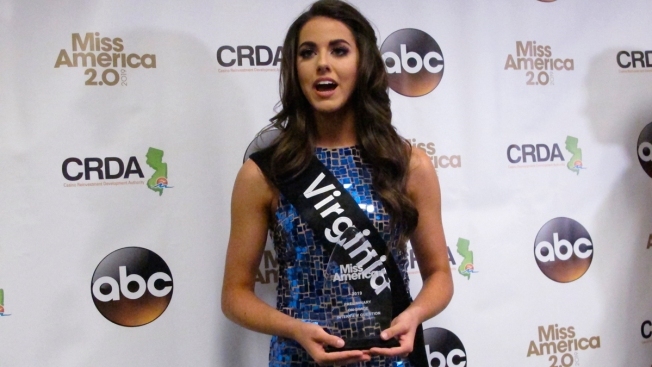 But it's also not about kneeling; it is absolutely about police brutality"
Miss Virginia Emili McPhail speaks with reporters after winning the onstage interview portion of the second night of preliminary competition in the Miss America pageant in Atlantic City N.J., Thursday Sept. 6, 2018. A question about the propriety of NFL players kneeling in protest during the National Anthem helped select one of Thursday's preliminary winners in the Miss America competition. Speaking with reporters afterward, McPhail was asked if she was worried about alienating people who feel differently about the anthem protests, an issue that has deeply divided the country. Some NFL players say they kneel during the anthem to protest societal injustices and to push for change, but opponents, including President Trump, consider the gesture disrespectful.